Mordio : grand air italienne, op. 141 / by A. Terschak. 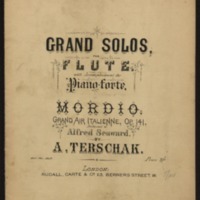 Originally for flute and orchestra accompaniment arranged for piano.